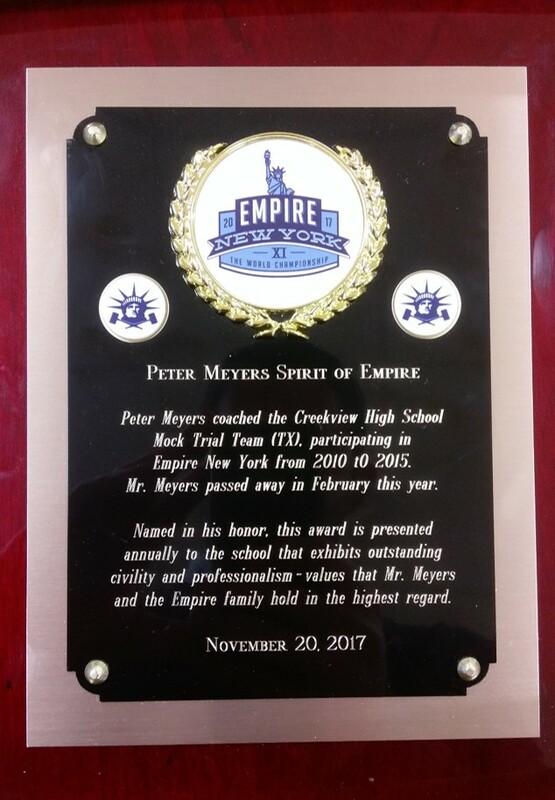 Our Mock Trial Team was presented with the very prestigious Peter Meyers Spirit of the Empire Award at the closing ceremony in New York today. The award is presented to the school that exhibits “outstanding civility and professionalism” during the competition. Well done to our hard working, talented students who did us all proud. We hope to welcome them home on Wednesday morning.